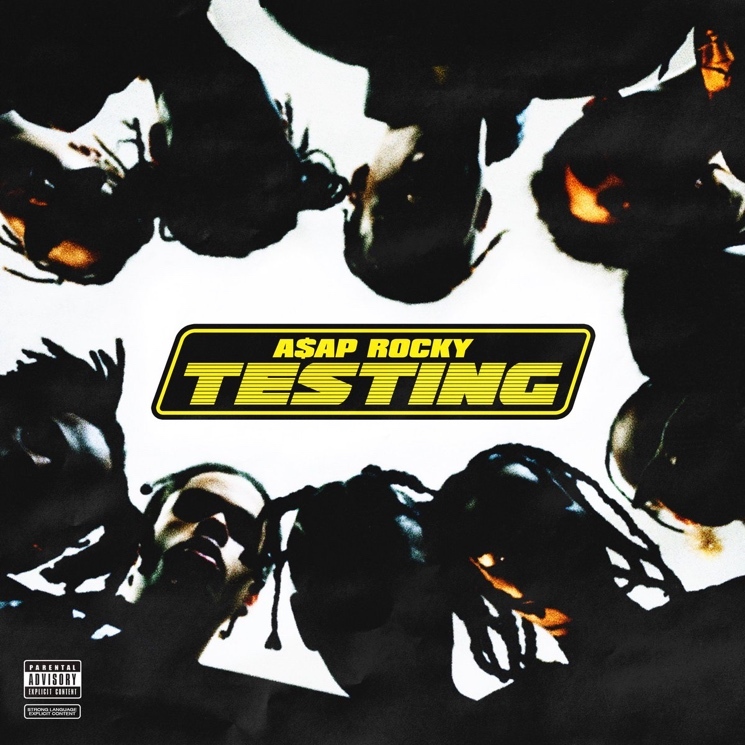 After stringing listeners along with teasers and new music since January, A$AP Rocky has finally delivered his new LP Testing, which you can hear in its entirety right now. Arriving today through RCA Records, Testing runs 15 tracks in length and features (in order of appearance) Kid Cudi, Moby, FKA Twigs, Skepta, Kodak Black, Playboi Carti, Smooky Margielaa, French Montana, Frank Ocean, Dev Hynes and Lauryn Hill. Testing follows Rocky's 2015 LP At. Long. Last. ASAP, and comes after Rocky announced its completion at the start of this week. Leading up to Testing's release, Rocky shared loose tracks including "5ive $tar$," "Above," "Money Bags Freestyle (Dean Blunt Meditation)" and "Herojuana Blunts." Hours before the album's release, he revealed the full tracklisting and credits through Twitter. The credits reveal vocal contributions from Puff Daddy, Juicy J, Snoop Dogg, and BlocBoy JB, while MGMT's Andrew VanWyngarden earned composer, lyricst and keyboardist credits for the FKA twigs-assisted track "Fukk Sleep." Take in all of Testing below or over here via the streaming service of your choice. Lauryn Hill Cancels Anniversary Shows After "Unforeseen Production Issues"